Eating is a basic human need. Being on a business trip in CEE, people also have to eat – which is the reason for today’s starting culinary mini-series “Russia on a plate”. Besides business topics and economics we sometimes have to enjoy what the CEE region has to offer for culinary palates. Generally, foreigners associate the Russian cuisine with blini (crepes), borscht (beet soup), kholodets (meat in jelly), olivier and vinegret salads. But Russia has a lot more to offer from a culinary point of view. Russia’s gastronomy is as wide as its geographic borders, and cabbage soup in Kaliningrad is nothing like cabbage soup in Nakhodka. But what do Russians eat in different regions? Discover CEE makes a trip into culinary world of Russia. This time in focus: Siberian, Kuban and Cisural cuisine. Berries from the dense Siberian forest or taiga, northern fish, bear and venison, honey and nuts – all this constitutes the basis of the Siberian cuisine. Unique local produce serves as a steady base for signature dishes in restaurants. Fish has always been present in the Siberian kitchen in endless varieties. The most renowned gourmet item is the mild-cured fish omul from the Baikal Lake. For centuries, this fish has been famous for its remarkable gentle flavour. 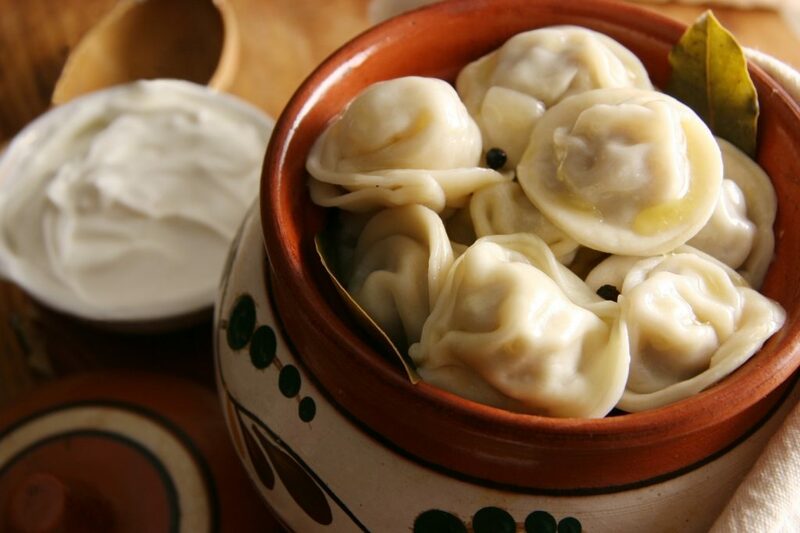 Another dish dearly beloved by any Siberian is pelmeni (meat dumplings). The classic Siberian recipe calls for at least three kinds of meat for the stuffing. Traditionally, this is beef, pork and lamb but you can also find a beef and pork mix or even ground chicken. Well-known Siberian appetizers include slices of frozen raw venison (stroganina) or fish (sugudai) and salted meat. For dessert, pies with wild northern berries with hot tea are commonly served. The menu also includes liquor made with pine nuts, cranberries or cowberry. It’s a common misconception that the Kuban cuisine is a regional variation of the Ukrainian one. The truth is, it is much more diverse and presents a true symbiosis of flavours. Its geographic location certainly leaves its mark. So, the Black and Azov seas have given the Kuban cuisine its numerous kinds of fish and seafood: striped mullet, rapa whelk, herring and anchovies. The Cossak heritage in the Kuban cuisine is represented by lard, beaver meat and kovbyk. Pig’s stomach stuffed with different cuts of pig’s head from cheeks to tongue is consumed in a sandwich, put on a slice of bread with a slice of lard and spices such as adjika sauce or onion mixed with garlic. 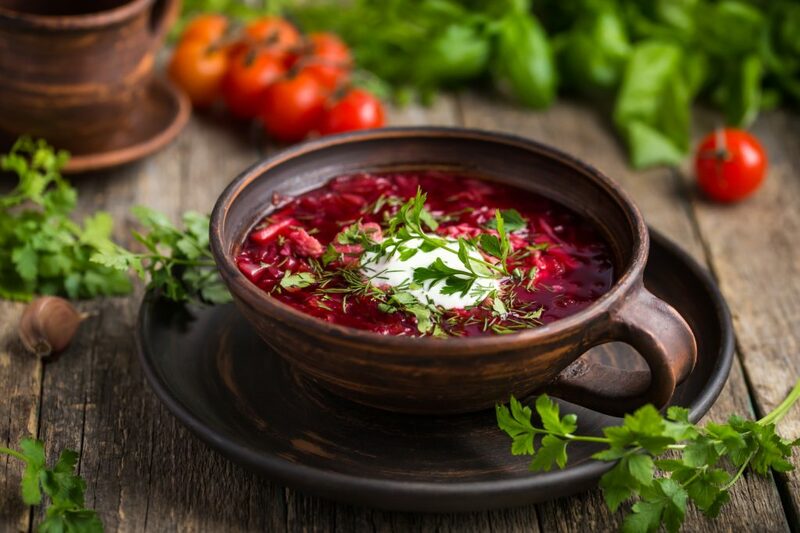 The central piece of the Kuban cuisine is borscht (beet soup). They say that the resemblance between the Kuban borscht and the Moscow borscht is the same as between the cheeses of France and Russia. It is the tomatoes and not beets that are the main ingredient of the Kuban borscht. Instead of the usual crimson sugar beets that are also used in the vinaigrette salad, in Kuban, they use the local unsweet kind with pink speckles. They call it the Turkish way – burak. Another distinctive ingredient of the Kuban borscht is old or aged lard. Some add it when sauteing the vegetables, some at the end of the cooking process, and some serve it right on the table with chives and sour cream. If you know what gribovnitsa is, you have surely visited the cities of Kirov and Perm. This is what they call mushroom soup here. By the way, mushrooms receive a special treatment in the Cicurals area. The most loved one is saffron milk cap. In the Kirov region, they boil and put them in jars to preserve, rather than salt or pickle. Topped with sour cream, this dish is served as an appetiser. Cisurals cuisine is not all about mushrooms though. It also offers various dishes with herbs, potatoes and chitterlings. 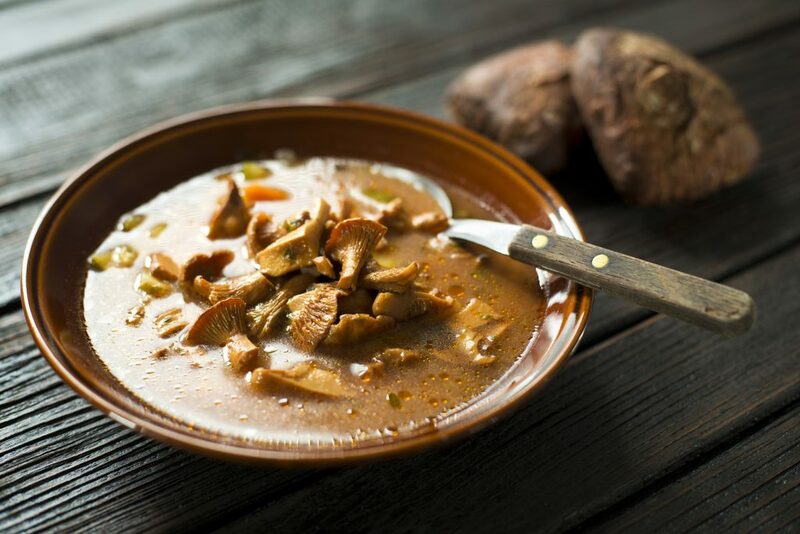 Traditional Russian recipes – nalivashnik, oserdsina, turya, teterya, tepnya, ishenka, pomakushi or shangi coexist with the dishes of the mari, udmurt, tatar and chuvash people, such as tabani and podkogol. I think the lime is weird, but otherwise I dont think this is wildly off base from Ukrainian/Russian cuisine enough to be mad about, lol. Grandma used vinegar or pickle juice in her soups, and they kinda jived from borscht to shchi to whatever was looking good in the produce section. I like to roast my beets before putting them in the soup but frying is more traditional. Borscht is as borscht does. HOWEVER if you think of borscht as the vegetarian or cold summer soup then this is not your recipe.